What bliss it is to pour yourself a small glass of perfectly-chilled rosé, sit back and dream you are in sunny Provence? 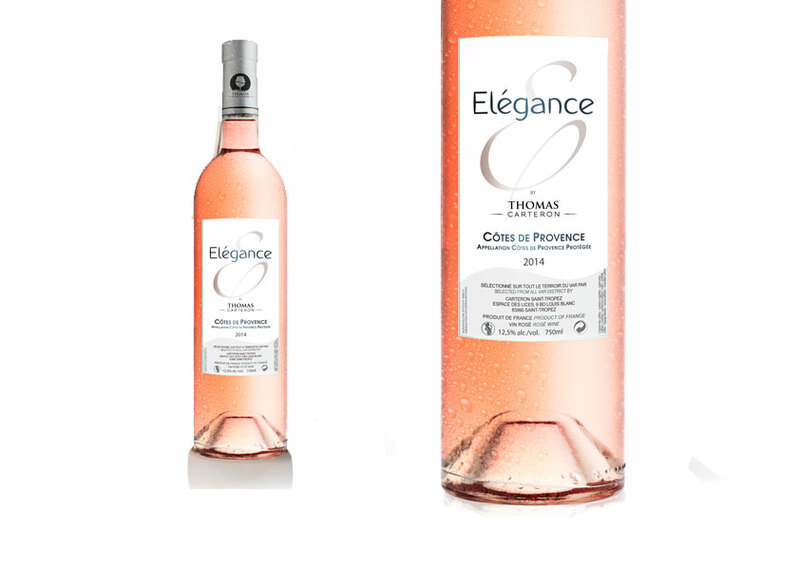 Thomas Carteron brings you Elégance, a finely-crafted AOP Cotes de Provence wine, remarkable for its subtle aromas of pink grapefruit and white peaches. Try our Elégance rosé and put some sunshine in your glass! Elégance is a delicate blend of wines from vines located in the Golden Triangle of the Côtes de Provence. We have brought together two terroirs in the Pierrefeu area: white limestone and gravel soil and schist from the foothills of the Maures, which give this wine a generous, mineral character. The traditional grape varieties: Grenache (40%), Cinsault (45%), Syrah (10%) express themselves with great finesse and the Mourvèdre (5%) provides structure. You can feel the authentic character of the terroir of Provence, brought out with great technical precision. The vines are cultivated using the traditional wine growing methods of the Var region. Yields are limited to concentrate as many aromas in the wine as possible. Vinification is carried out with the temperature controlled to prevent the extraction of too much colour while preserving the aromas and tannins. Maceration is shorter or longer depending on the grape variety. The wine then undergoes a light fining using mineral products and sterile filtration is carried out at the time of bottling. in an authentic and refined ambiance. Partager la publication "ÉLÉGANCE Rosé WINE"
Elégance, a finely crafted AOP Cotes de Provence wine, boasts a bright, pale luminous and slightly salmony hue, typical of the Grenache grape. You can also make out a dash of soft pink, due to the use of Syrah in this traditional blend. The wine is deliciously fresh on the nose. The aromas are initially reminiscent of citrus fruit, then peaches and finally red fruit come through. 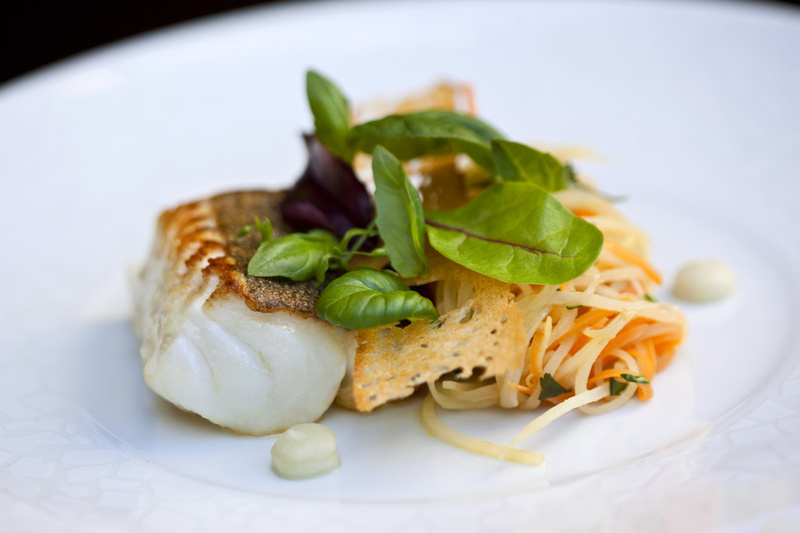 The bouquet is laced with wild mint and garrigue herbs. The wine is subtle and coats the palate. Its finish is sweet and pleasant. The balance of this forthright wine is particularly fine. Fragrance of pink grapefruit and white peach aromas. Elégance is a fruity, delicate wine! It is a finely-crafted AOP Cotes de Provence wine, with a well-chosen name! Elégance un vin très réussi AOP Cotes de Provence, un nom bien choisi ! With what food will this rosé be best enjoyed? For a fabulous match, try serving it as an aperitif with green tapenade, fresh olives and a chilled tomato gazpacho! 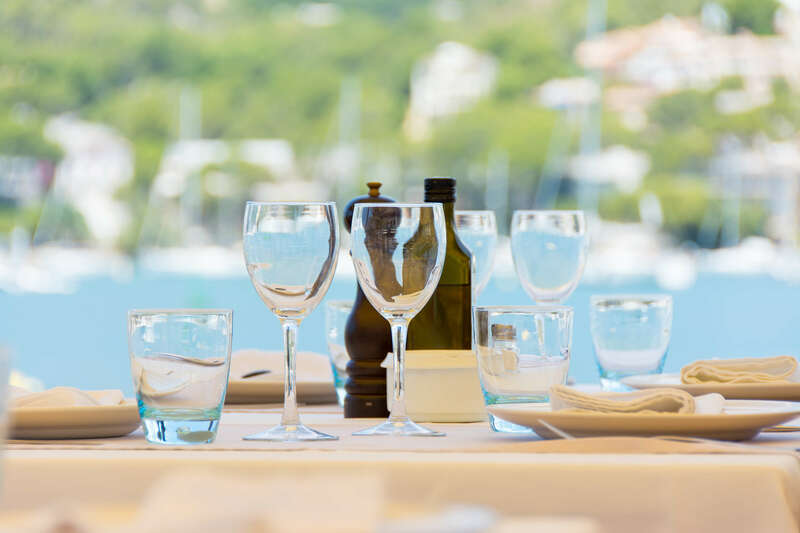 For the main dish, you could pair it with grilled white meat or baby lamb, or, if you prefer fish, with a salt-baked sea bass or cod steak. Remember to serve at 8-10 ° C, the ideal temperature to ensure that all flavours of this rosé come through on the palate. Thomas Carteron has worked in the wine business for over 10 years. His love of wines prompted him to launch his own brand in 2011. Several wines were carefully developed, each with its own character, its own spirit, and its own distinctive aromas. Their common denominator: they conjure up the charm of Provence, and particularly the Var region. The range includes Holidays Rosé, ideal for holidays, as the name suggests! Should you have questions on any of our products, please contact us via our online form . We will respond to your queries quickly. Find out more about the products of Thomas Carteron, who brings you this selection of wines from wine growers in the South of France!